Duplicate Displays Our VGA Monitor Y-Splitter Cable is a great solution for duplicating images from a computer to two identical screens. Applications include security monitors, conference room presentations, or video in a house of worship. 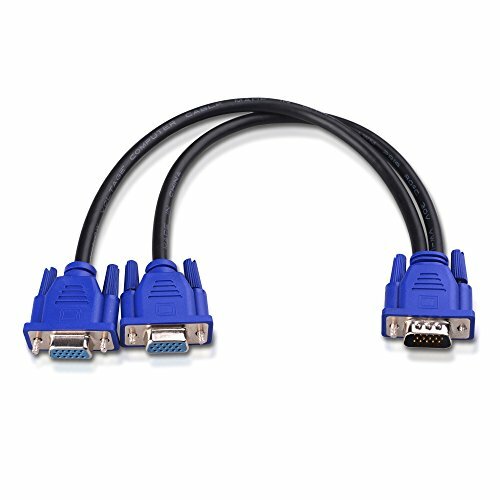 Specifications - Host Connector: 1 x 15-pin VGA Male - Display Connectors: 2 x 15-pin VGA Female Mirrored Monitors Easily connect two monitors to a single VGA source computer. Simply attach VGA cables (sold separately) from the monitors to the female ends of this cable adapter. Supported video resolutions include 800x600 (SVGA), 1024x768 (XGA), 1600x1200 (UXGA), and 1080p for high resolution monitors. Important Notes - VGA cables to connect the displays are sold separately. 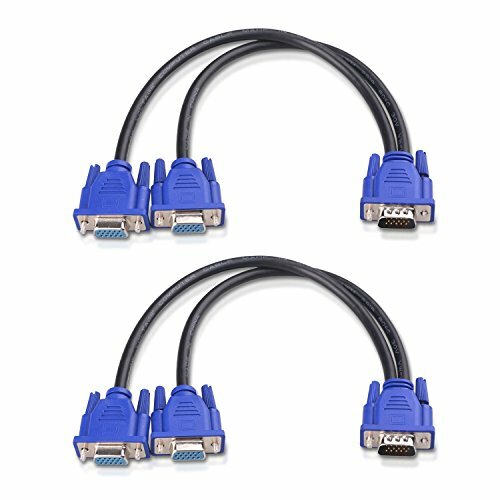 - Connecting a long VGA cable may degrade the video appearance. - This passive cable only duplicates (does not extend) the PC screen to a monitor. - Audio is not supported over VGA, it must be transmitted separately. Your purchase protection 1 Year Worry-Free Warranty. 24-hours email contact service is available. Please let us know if you have any questions or concerns. We're standing by to assist you all the time. Duplicate Displays The Saytay VGA Monitor Y-Splitter Cable is a great solution for duplicating images from a computer to two identical screens. Applications include security monitors, conference room presentations, or video in a house of worship. 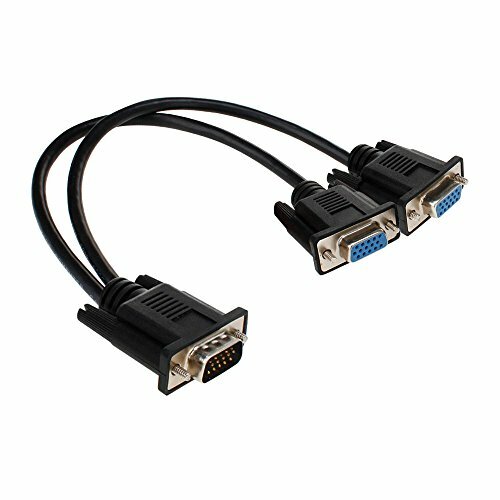 Specifications - Host Connector: 1 x 15-pin VGA Male - Display Connectors: 2 x 15-pin VGA Female Mirrored Monitors Easily connect two monitors to a single VGA source computer. Simply attach VGA cables (sold separately) from the monitors to the female ends of this cable adapter. Supported video resolutions include 800x600 (SVGA), 1024x768 (XGA), 1600x1200 (UXGA), and 1080p for high resolution monitors. Important Notes - VGA cables to connect the displays are sold separately. 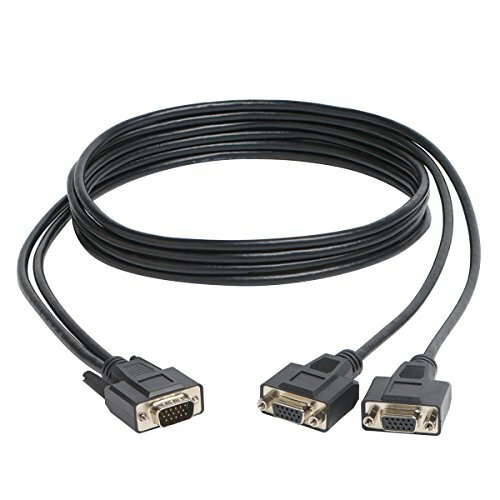 - Connecting a long VGA cable may degrade the video appearance. - This passive cable only duplicates (does not extend) the PC screen to a monitor. - Audio is not supported over VGA, it must be transmitted separately. Your purchase protection 1 Year Worry-Free Warranty. 24-hours email contact service is available. Please let us know if you have any questions or concerns. We're standing by to assist you all the time. 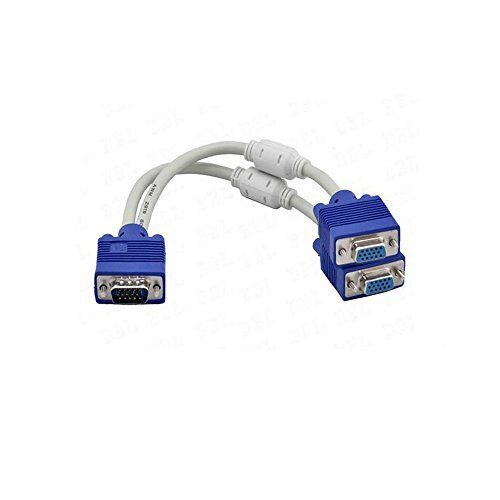 Features: HDMI male to 2 female audio video splitter cable Design for splitting 1 HDMI signal to 2 HDMI Output HDMI high quality digital video signal to 2 HDMI female output Can 2 output device should be active at any time. (Need Two Displays have the same size) You can only connect one input device (eg. DVD player) to two HDMI output device (eg. TV), but only ONE output device should be active at any time. You cannot connect two output device at the same time. Suitable for High Definition image resolutions such as 720p, 1080i, and 1080p Operate it as following steps: Connect your devices with this splitter cable Turn the signal source on Turn the first display on first and wait till it works properly Then turn the second display on and enjoy it Slim and compact , easy to storage and carry. 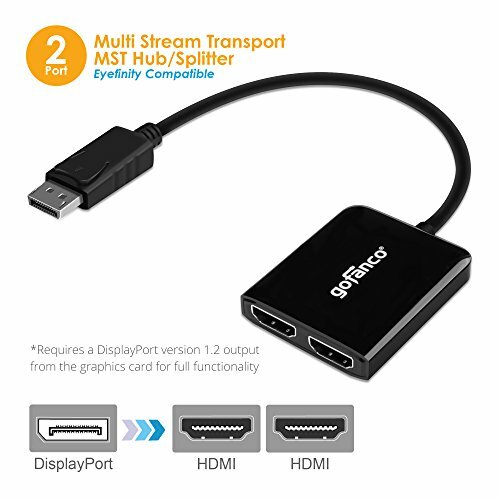 Package Includes: 1 x HDMI Male To 2x HDMI Female Splitter Adapter Note: 1.Do not Support HDCP.Do not Support MACBOOK. 2.If you need signal display at the same time, Requirement your two monitors with the same dimensions.For example, two same types of computer monitors. 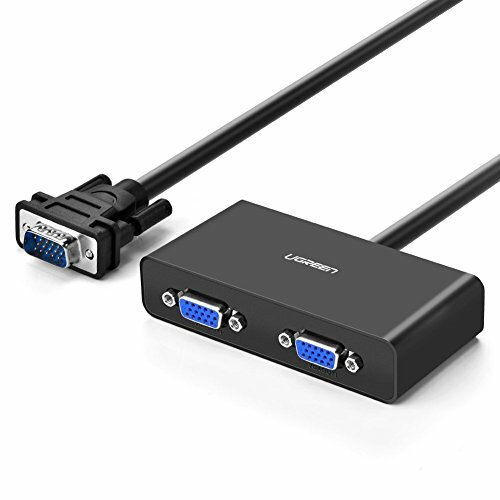 3.If your two monitors'Size not the same,Please switch to use this HDMI Splitter cable. 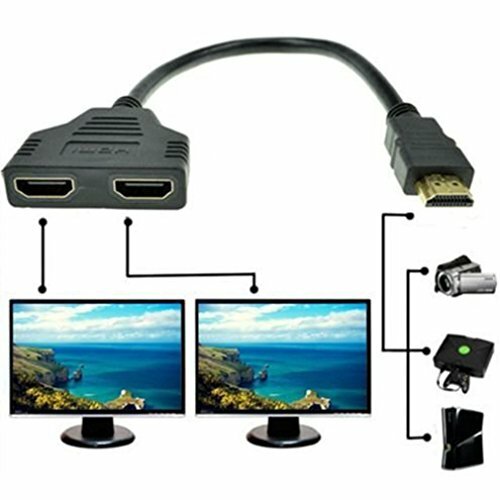 Looking for more Computer Monitor Splitter similar ideas? Try to explore these searches: Lenox Kitchen Island, Yellow Plastic Resin, and Economy Training Pads.